Internet & Domain Name Disputes | Greer, Burns & Crain, Ltd. The over-riding importance of the Internet makes domain name, social media and other online enforcement essential to protecting the value of intellectual property. We have successfully resolved numerous online disputes involving the unauthorized use of trademarks and copyrighted content. We have also successfully defended clients against overly aggressive enforcement efforts. As the commercial importance of the Internet continues to grow, defense of IP rights online has become vital to virtually all businesses. The range of potential IP infringement issues related to the Internet is vast and growing, and the law governing such issues is likewise rapidly evolving. GBC has an experienced practice group dedicated to online enforcement of intellectual property rights that can help you solve related issues. We stay at the forefront of the quickly changing legal framework that governs online enforcement of trademarks, copyrights and other intellectual property rights, and provide clients with the most current and cost-effective online IP enforcement strategies. Search engines such as Google®, Bing® and Yahoo® are the portals through which virtually all Internet commerce passes. Search result pages are often littered with links to counterfeit or infringing websites that divert potential consumers away from authorized retailers with legitimate products. The rules and procedures for removing infringing links from search engines vary considerably between the different search engines and within different international jurisdictions. Further, governing relevant law is constantly changing. GBC guides clients through this changing enforcement landscape to achieve effective search engine enforcement. Our efforts have resulted in thousands of infringing links — both organic and sponsored — being removed from all major search engines. GBC is highly experienced in all types of domain name disputes. 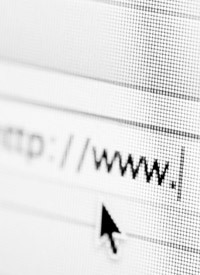 We have represented clients in dozens of domain name arbitrations (under the Uniform Domain Name Dispute Resolution Policy – UDRP) and Anti-Cybersquatting Consumer Protection Act (ACPA) cases in U.S. Federal Courts, as well as formal disputes in international jurisdictions. GBC’s efforts have successfully recovered well over 500 domains for our clients, and have resulted in large damage awards against domain infringers. Counterfeit websites present significant new challenges for brand owners. Counterfeiters, often offshore, increase margins and reduce seizure risk by selling small quantities directly to consumers over the Internet. Overseas counterfeiters deceive consumers with very convincing sham websites, often using genuine, stolen photographs and product descriptions. Significant traffic is driven to sham websites through purchase of the brand keyword on Google or other search engines. An unknowing consumer led to a sham website typically has a shopping experience indistinguishable from that on the brand’s genuine website. These transactions on counterfeit websites lead to both significant sales losses and erosion of the value of brands’ intellectual property. GBC offers a cost effective and proven enforcement program to address counterfeit websites on both small and large scale. We understand that conventional website enforcement including “lawyering” of individual websites can be cost prohibitive. To provide a more cost effective approach, GBC has developed an automated and proprietary process for large scale enforcements that has proven highly effective in over 10,000 website takedowns. For budgeting convenience, high volume counterfeit website enforcements can be priced on a fixed cost basis. Counterfeiters and infringers often turn to social media sites such as Facebook®, Twitter® and YouTube® to create awareness and direct traffic to fraudulent websites. In some cases, counterfeit products are sold directly though social media. GBC has significant enforcement experience removing infringing content and suspending illegal accounts from social media networks. The Digital Millennium Copyright Act (DMCA) and similar laws in other countries provide copyright owners important tools for protecting their rights online. GBC has significant experience in addressing copyright infringement issues online. We have handled thousands of DMCA enforcements resulting in the removal of copyright protected content. In addition to websites, infringers often use auctions sites such as eBay®, iOffer®, TaoBao® and others to sell counterfeit products. GBC is experienced in terminating counterfeit auction listings, and can provide a customized enforcement solution for your brand.